Club Penguin Cheats by Mimo777 Club Penguin Cheats by Mimo777: Penguin of the Week: Cance0! When I heard that Cance0 had run 5km to raise money for charity not once, but TWICE, I nearly fell off my chair! So impressive! Being kind comes in all shapes and sizes and doing something big like this for charity is something to be really proud of! 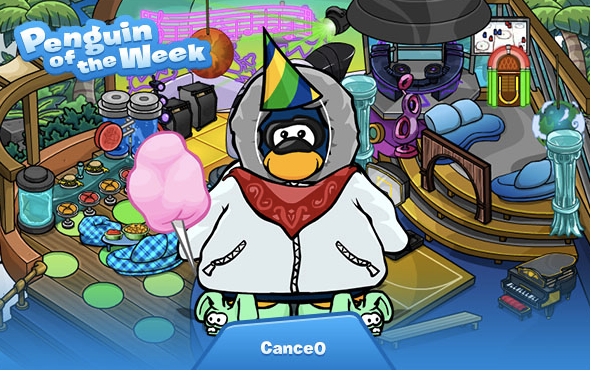 As always you can comment on the blog and nominate your buddies to be the star of Penguin of the Week! The winner will receive 10,000 coins AND the Green Viking Helmet! Post it on the CP blog,buddy!